CHESAPEAKE, Va. (AP) — A Virginia woman says she and some neighbors have decided to be cooped up with their chickens and other pets as Hurricane Florence approaches. 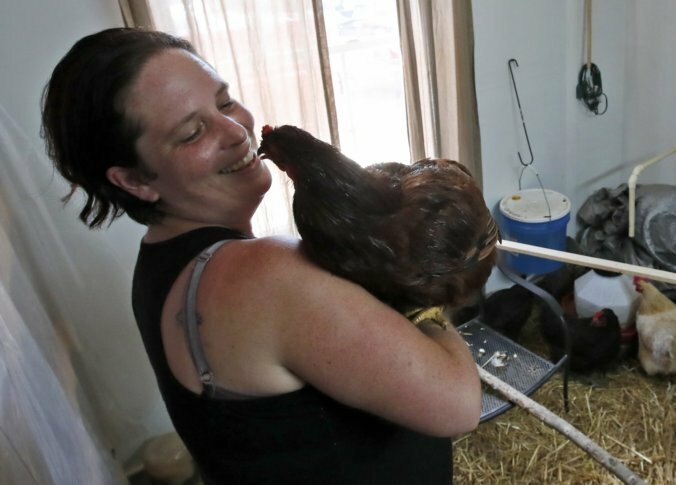 Grace Hoss is housing her chickens in the utility room of her neighbor’s Chesapeake home. She and others are planning to hunker down together during the storm, although Hoss says her family has supplies ready to take with her in case they need to flee. Hoss’ neighbor John Hembree has also decided to wait it out. He, along with his husband Scott Perkins, owns chickens, a turtle, dogs and a cat. Perkins says he would have had to travel too far to find a hotel that would have let him stay with his three dogs. Chesapeake is about 20 miles (32 kilometers) west of Virginia Beach.